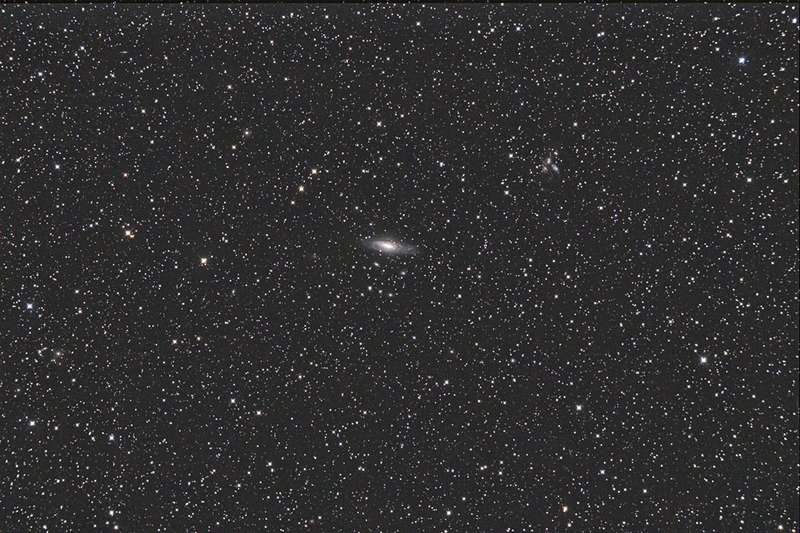 11 x 5 minute exposures at 800 ISO on October 4, 2007 from Beilen. 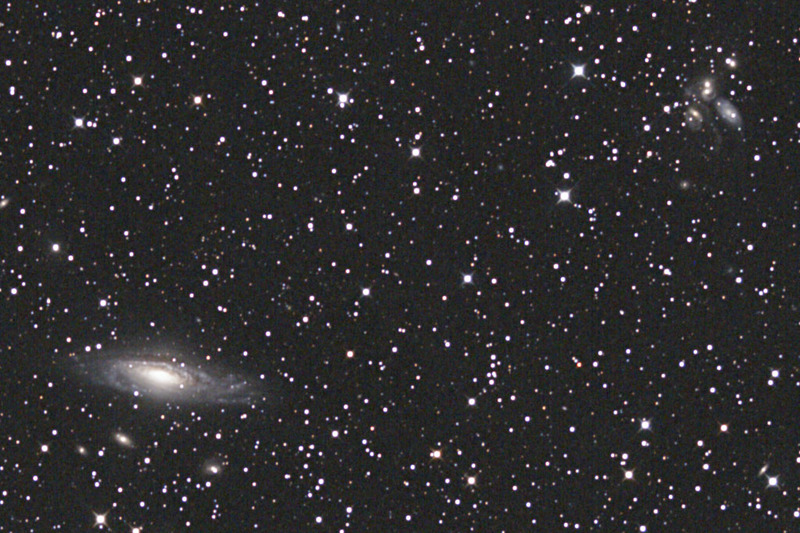 Full field, NGC7331 is in the middle, Stephans Quintet is the small group towards the upper right corner. Modified Canon 350D, and a 20-cm (8") f/2.75 ASA Astrograph. Sky brightness on the SQM was 20.2 magn./sq. arcsec. This is a 50% resize crop. This is a full size crop. 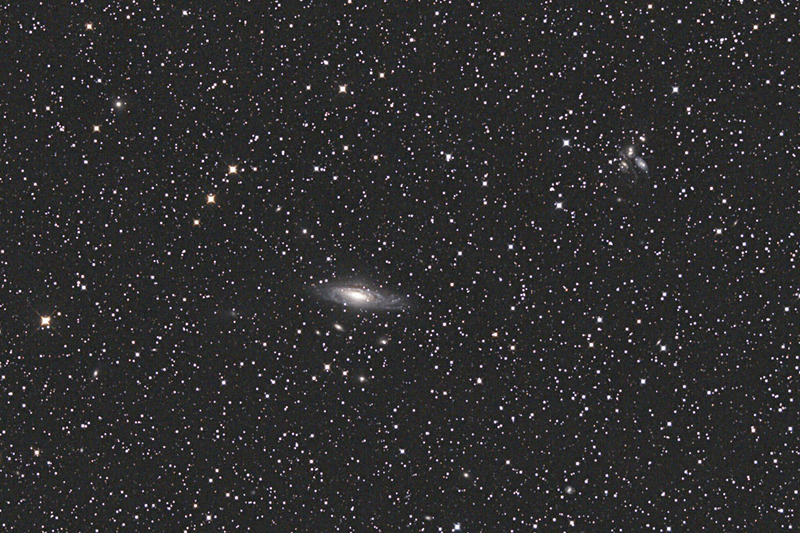 Full size image, lots of small galaxies are visible.